This paper describes the new setup of the Graz Brain-Computer Interface (BCI) system II, which is based on on-line classification of EEG patterns to determine which of three kinds of movement is planned by a subject. 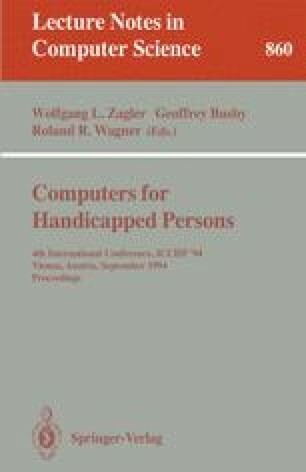 This classification can be exploited for on-line control which may constitute a great help for handicapped persons in the future. Supported by the “Fonds zur Förderung der wissenschaftlichen Forschung”, project P9043 and “Forschungsförderungsfonds für die gewerbliche Wirtschaft” project 2/312.